SUMMARY: In this episode, Brian and Chris speak with Ken Braddy, Manager of LifeWay’s Adult Ongoing Bible Studies, about the renewed focus on evangelism and reaching out to new people in small groups and Sunday School programs. Ken discusses how many of us might feel that the practice of evangelism is best left to the “experts,” but small groups can encourage and facilitate group members to reach out to their community in practical, evangelistic ways. In addition, Brian and Chris speak with Ken about his list of ten things guests need from small groups leaders when they visit a group for the first time. (Read Ken’s list here: part one and part two.) He notes that church leaders who have not visited a new church in a long time may forget how much anxiety this process can induce. But reevaluating with fresh eyes how their groups greet guests can help church leaders make small changes—like using simple, stick-on nametags—that can make a big difference in making guests feel welcome. 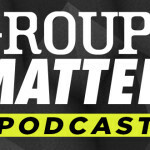 The Groups Matter Podcast is a weekly show designed to resource, train, and encourage small group leaders. Each episode considers current trends and resources as well as timeless truths and methods of discipleship. It is hosted by Brian Daniel, a Bible study and discipleship expert in LifeWay’s Groups Ministry, and Chris Surratt, the small group and discipleship specialist at LifeWay and author of Small Groups For The Rest Of Us. GUEST: Ken Braddy is Manager of LifeWay’s Adult Ongoing Bible Studies and has served as an education pastor for 18 years, prior to his role at LifeWay. He leads a weekly Bible study at his church, blogs regularly on the topic of Sunday School and small groups, and co-authored the books 3 Roles For Guiding Groups and Teacher: Creating Conversational Community. He has written hundreds of leadership articles and trained group leaders across the country. Ken is a native Texan, loves tex-mex, and wishes he had his 1978 Camaro back. Follow him on his blog at kenbraddy.com. EPISODE SPONSOR: This week’s episode is sponsored by SmallGroup.com. SmallGroup.com is an online subscription service that allows churches and group leaders to create customizable, sermon-based group bible studies. 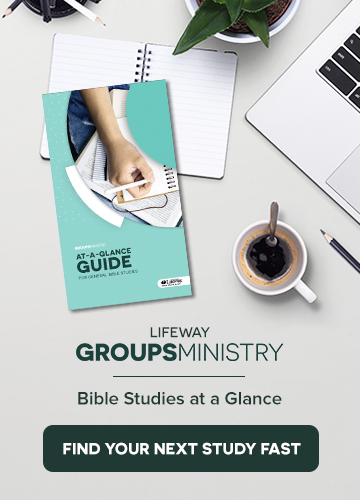 Visit the Groups Ministry blog for a quick how-to tutorial, or visit SmallGroup.com to begin your free 2-week preview. RESOURCES: If you have a question you’d like discussed on the Groups Matter Podcast, please tweet your question to @BcDaniel or @ChrisSurratt.